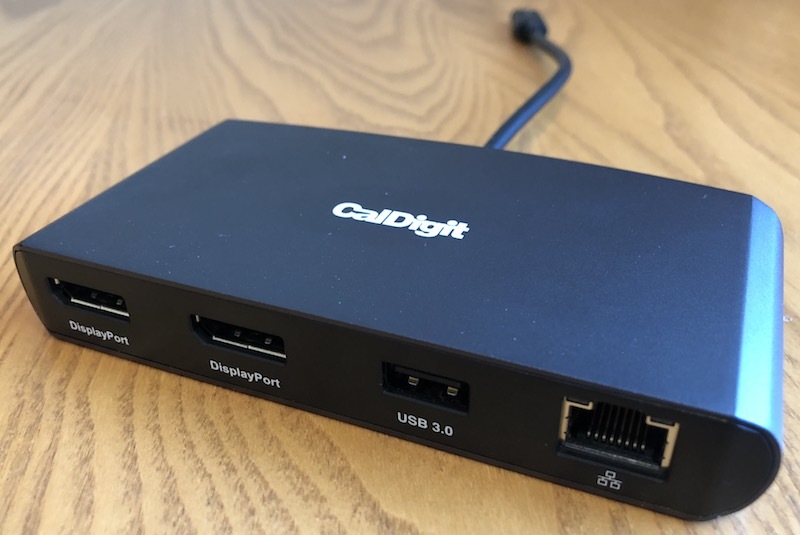 Last month, CalDigit debuted a pair of Thunderbolt 3 mini Docks, offering the ability to connect dual 4K 60Hz displays, Ethernet, and USB all from one travel-sized accessory that doesn’t require its own external power source. Available in dual DisplayPort and dual HDMI versions, CalDigit’s Thunderbolt 3 mini Docks are a convenient way to make sure you can easily connect to multiple high-resolution displays wherever you go. I’ve had an opportunity to test out both versions of the dock, and I came away impressed with their performance, compactness, and usefulness in making sure you have the connectivity you need available away from your usual workplace. Both versions of the Thunderbolt 3 mini Dock have the same primarily aluminum design with plastic on the two long edges where the ports line one side and the short built-in Thunderbolt 3 cable exits the other side. The aluminum is an attractive gray that’s significantly darker than Apple’s Space Gray shades, and there is a CalDigit logo on the top of the dock. The bottom includes a pair of non-skid strips to help keep the dock stable. Both docks measure just under 5 inches long by about 2.5 inches deep and 0.75 inches thick. That makes them just a bit smaller but considerably thicker than an iPhone 8, and at a little over 5 ounces they’re just about the same weight as an iPhone 8 as well. Overall that makes them much smaller and lighter than a desktop Thunderbolt 3 dock, and they don’t require a massive power brick (or any external power beyond the Thunderbolt cable), so they’re very transportable. The two versions each include a Gigabit Ethernet port, a 5 Gbps Type-A USB 3.0 port, and a pair of either DisplayPort 1.2 or HDMI 2.0 ports. The HDMI model also includes a second Type-A USB port, although it is limited to 480 Mb/s USB 2.0. I tested the performance of both docks using an array of accessories and found solid performance. Both the DisplayPort and HDMI versions offered smooth video performance while connected to dual 4K displays running at 60 Hz with no lag or visual artifacts. You’ll want to choose the version that best fits your display needs, but keep in mind that the DisplayPort model can also drive non-DisplayPort monitors such as DVI, Mini DisplayPort, or VGA, as long as you don’t mind dongles for your dongle. USB 3.0 speeds were fast, with a CaDigit Tuff external SSD registering speeds of 360 MB/s read and 340 MB/s write when connected to a MacBook Pro through the docks. That’s a little slower than a direct connection to a 5 Gbps USB port on a Mac, but in line with performance seen when connecting through other docks and hubs. You’ll be lucky to get much more than one-tenth of those speeds when connecting over the USB 2.0 port on the HDMI version of the mini dock, so you’ll want to limit that port to mice, keyboards, and other peripherals where you’re not trying to move a lot of data quickly. While there are a number of bus-powered USB-C hubs and docks on the market that offer an array of ports and other options, CalDigit has opted to use Thunderbolt 3’s capabilities to focus on the external display connectivity and include only a bare minimum of additional ports. 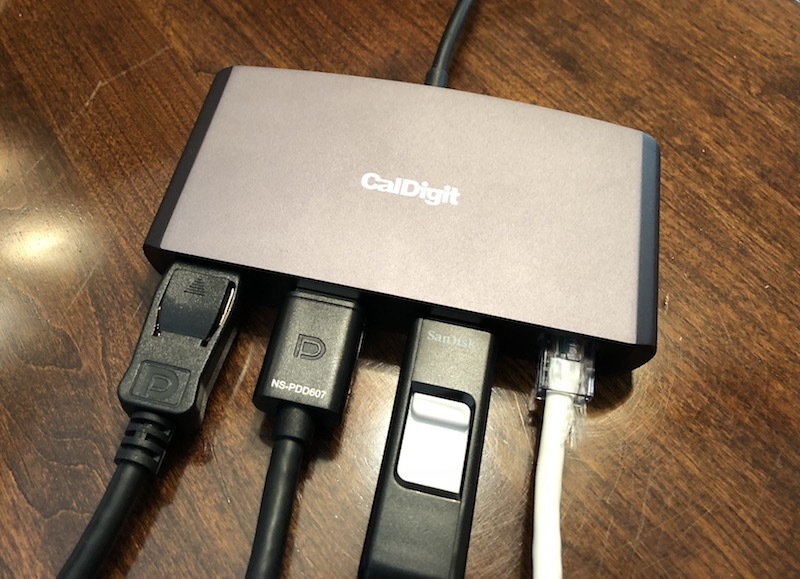 CalDigit says this is in part an effort to remain within the Thunderbolt 3 power specifications, which limit bus-powered devices to a total of 15 watts of draw. USB-C adapters can in some cases be limited to 7.5 watts total, but with so many available ports on many of these docks, it’s easy to hit that figure and cause potential power issues. The USB 3.0 port on CalDigit’s mini docks can provide up to 4.5 watts, while the USB 2.0 port on the HDMI model can deliver up to 2.5 watts. 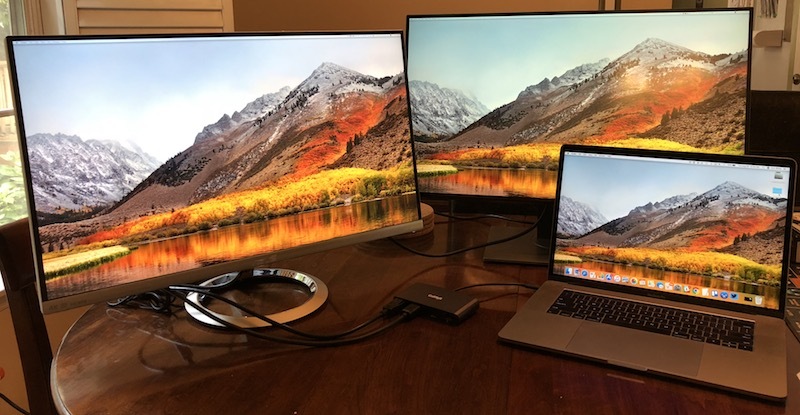 These Thunderbolt 3 mini Docks meet a specialized need, catering to those who need to connect to multiple high-resolution external displays on the go, but they do their job well. If you’re primarily looking to expand the available ports on your MacBook Pro, you’ll likely want to look at other options that offer a greater number and variety of ports and can perhaps run over USB-C. These port-focused USB-C hubs also tend to come in at cheaper price points, with $60 being a common figure. But CalDigit’s solution is great for users who need solid display connectivity that cheaper USB-C hubs can’t match, while also offering a couple of handy extras in the form of Ethernet and USB ports. Compared to traditional desktop Thunderbolt 3 docks, CalDigit’s mini docks are cheaper, easily portable, and don’t require external power, so they’re handy for on-the-go use. CalDigit is currently offering the DisplayPort version of the Thunderbolt 3 mini Dock for $99.99, while the HDMI model is priced at $109.99, both a $30 discount over their eventual regular prices although CalDigit tells me it plans to offer the promotional pricing for an extended period of time. Both models are also available through Amazon, although they’re priced $10 higher than buying directly from CalDigit, coming in at $109.99 for DisplayPort and $119.99 for HDMI. Note: CalDigit provided the Thunderbolt 3 mini Docks to MacRumors free of charge for the purposes of this review. No other compensation was received. MacRumors is an affiliate partner with Amazon and may earn commissions on purchases made through links in this article. 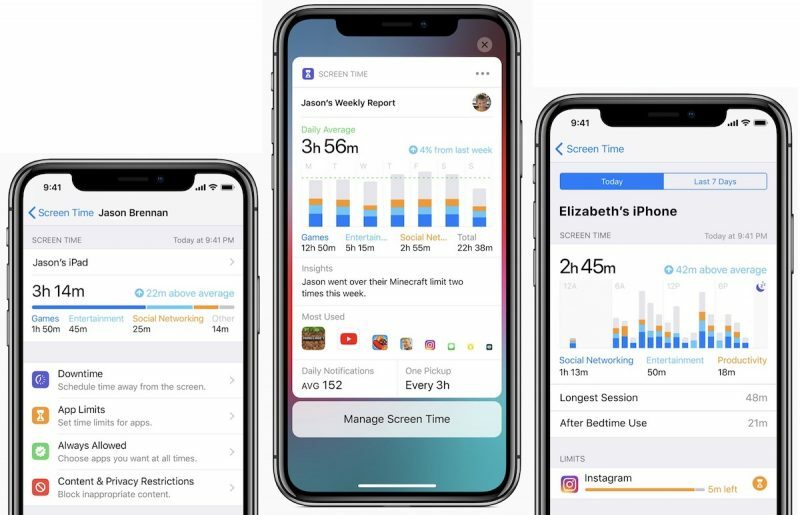 Apple today seeded the tenth beta of an upcoming watchOS 5 update to developers, one week after releasing the ninth beta and more than two months after introducing the software at the Worldwide Developers Conference. To get the beta, you’ll need the proper configuration profile, which can be obtained through the Apple Developer Center. Once the profile is in place, the watchOS 5 beta can be downloaded using the dedicated Apple Watch app on the iPhone by going to General –> Software Update. To install the update, an Apple Watch needs to have 50 percent battery, it must be placed on an Apple Watch charger, and it has to be in range of the iPhone. The watchOS 5 update runs on all Series 1, Series 2, and Series 3 Apple Watch models, but it is not available for the first-generation “Series 0” Apple Watch models. Apple today seeded the tenth beta of a new tvOS 12 operating system to developers for testing purposes, four days after releasing the ninth beta and more than two months after introducing the new software at the 2018 Worldwide Developers Conference. Designed for the fourth and fifth-generation Apple TV, the tvOS 12 developer beta can be downloaded onto the Apple TV using a profile that’s installed through Xcode. Subsequent betas can be downloaded via the software update mechanism on the Apple TV. tvOS 12 introduces support for Dolby Atmos sound, which was activated in the second beta. Apple says that when tvOS 12 launches this fall, iTunes will be home to the largest collection of Dolby Atmos-supported movies. Customers that have previously purchased movies that gain Dolby Atmos support will see free upgrades to their titles, much like the rollout of 4K support. What Skills Are Required to Run Your Own Business? Almost anyone can run their own business. However, if you already have or are willing to learn a certain set of skills, you’re more likely to achieve success. Aside from having a good business idea, you are also going to need a core skillset. Ideally, it should include financial management, marketing, sales and customer service, communication and negotiation, leadership, project management and planning, problem-solving, delegation, time management and networking. Sound like a tall order? Keep reading, and you’ll realize it’s not as bad as you think. When you work for someone else, your time is usually managed for you. The boss decides when, where and how they want you to complete your daily tasks. When you run your own business, you have to make all these decisions and learn not to get too distracted by issues that aren’t very important. Part and parcel of time management is the ability to work in an organized way. There are a lot of things you need to keep track of. For example, business registration and sales tax forms, employee records, vendor invoices, business budget, bills and various plans. One of the biggest roadblocks you’re likely to encounter is managing your cash flow. Without cash, you’re not going to be able to run your business! 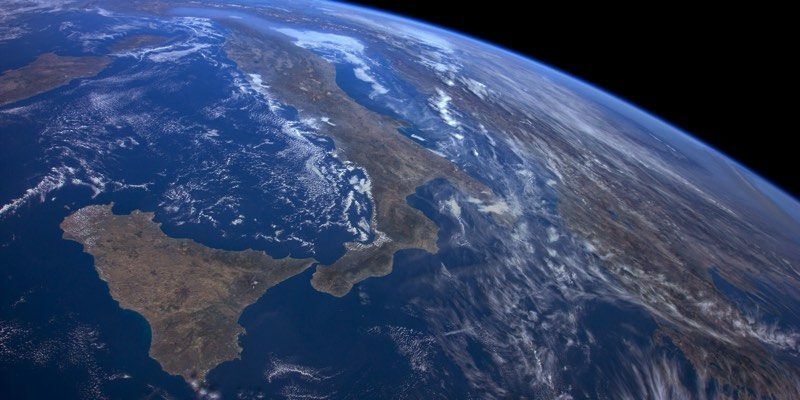 If you can’t pay your suppliers in time or your employees, your business is certain to fail. Fortunately, there are a number of online resources you can use to your advantage and plenty of experts who will willingly give you advice. One important part of managing your business finances will be paying your taxes on time. If you need help with any aspect of paying your taxes, you should always seek professional advice. There are different companies who can help, depending on where you live; Online Tax Return is one example if you live in Australia. If you are just starting your own business, it will be advantageous if you understand the basics of marketing. Depending on your budget, you may be able to call in the experts. Otherwise, you’ll need to think about marketing your business yourself. Again, this is an area where you can do some research online. You’ll need to be looking at trends, thinking about the wants and needs of your customers and how best to serve them. Part of marketing will be creating a brand. To do this, you’ll have to put yourself out there and be seen. Social media is a great way of getting your message across, whether you choose Facebook, Twitter, Instagram, YouTube or LinkedIn is up to you. These are just a few of the skills you need if you want to succeed in running a business. If you take nothing else from this article, you should realize that any of the skills needed can be easily acquired. The internet is a wonderful tool for anyone wanting to work for themselves. Just do your research and spend time learning all you need to know. Huawei just launched a new Mate device at IFA 2018, but it’s probably not what you were expecting. Instead of the top-shelf Mate 20, the Chinese giant revealed the more accessible Mate 20 Lite. It’s a phone that’s pretty much guaranteed to sell well, thanks to the strong association with the aspirational Mate 20. This is the first time Huawei has introduced the Mate Lite model first, but what else is interesting about it? Let’s find out in our Huawei Mate 20 Lite hands-on preview. The Mate 20 Lite looks premium, even if the design is a little generic. 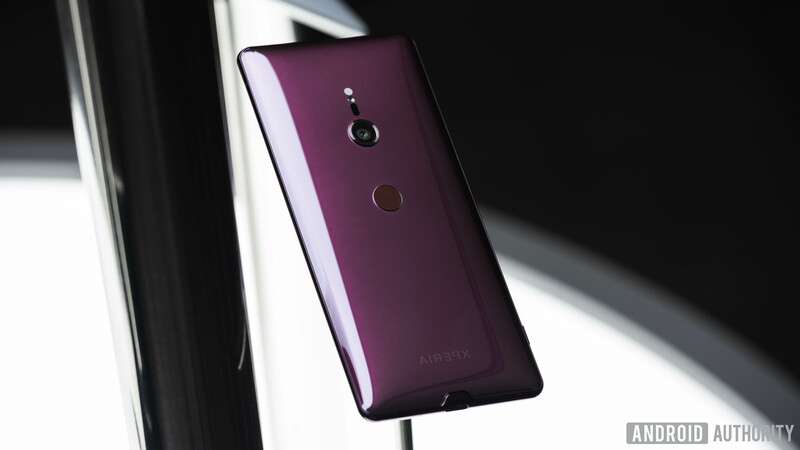 The body is covered in sleek glass, front and back, with a metal frame going around the edges. The phone is quite slippery, but it’s fairly light and easy to handle with one hand, despite the expansive 6.3-inch display. 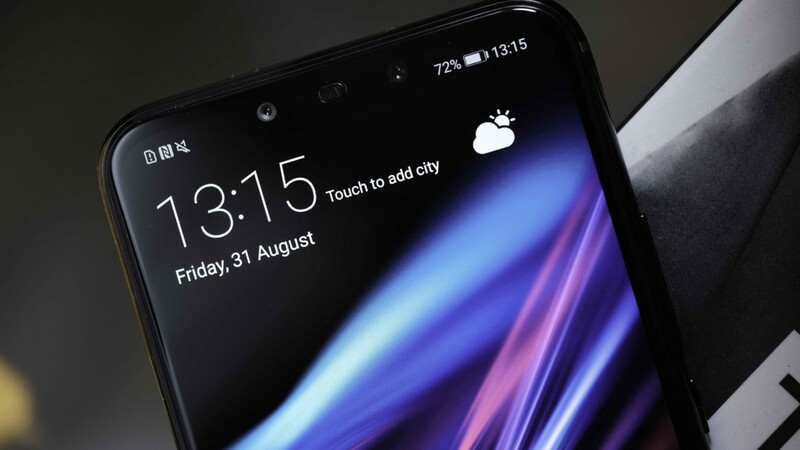 The clean back of the Mate 20 Lite is dominated by the dual camera module and fingerprint sensor, which are framed in a discreet hatched pattern. The deep black version that we got to test looks sleek and stealthy, but if you prefer a flashier design you can look into the Sapphire Blue and Platinum Gold models. The bottom of the phone houses a single speaker, the USB Type-C port, and a 3.5-millimeter audio jack. The screen is framed by some sizeable bezels and a notch – at 81 percent, this is no screen-to-body ratio champion, but Huawei still increased it significantly compared to the Mate 10 Lite. Thanks to the dark-themed user interface, the bezels just “bleed” into to the screen, making for a pleasant experience. The display is more than adequate for a mid-range device. It’s a tall 19.5:9 LCD of Full HD+ resolution. You really can’t see the pixels in regular use, but colors are a little washed out. Huawei’s big proposition for the Mate 20 Lite is AI. The manufacturer is taking AI technology to its mid-range lineup, adding tons of features that use machine learning technology to the Mate 20 Lite. Unfortunately, there’s no dedicated hardware to back them up. The Mate 20 Lite uses the Kirin 710 processor, which lacks a dedicated neural processing unit. Instead of the NPU, AI calculations are handled by the octa-core CPU, which is definitely powerful enough for the task. Other core specs include 4GB of RAM and 64GB of expandable storage, powered by a 3,750mAh battery. That’s a nice 10 percent upgrade compared to last year’s Mate 10 Lite, and enough to keep you going for more than two days of average use. We would’ve liked to see better RAM and storage specs, seeing that Huawei’s own Honor has some better offerings for cheaper. Still, Huawei may get away with it, especially in the markets where customers are less concerned about having the best specifications. 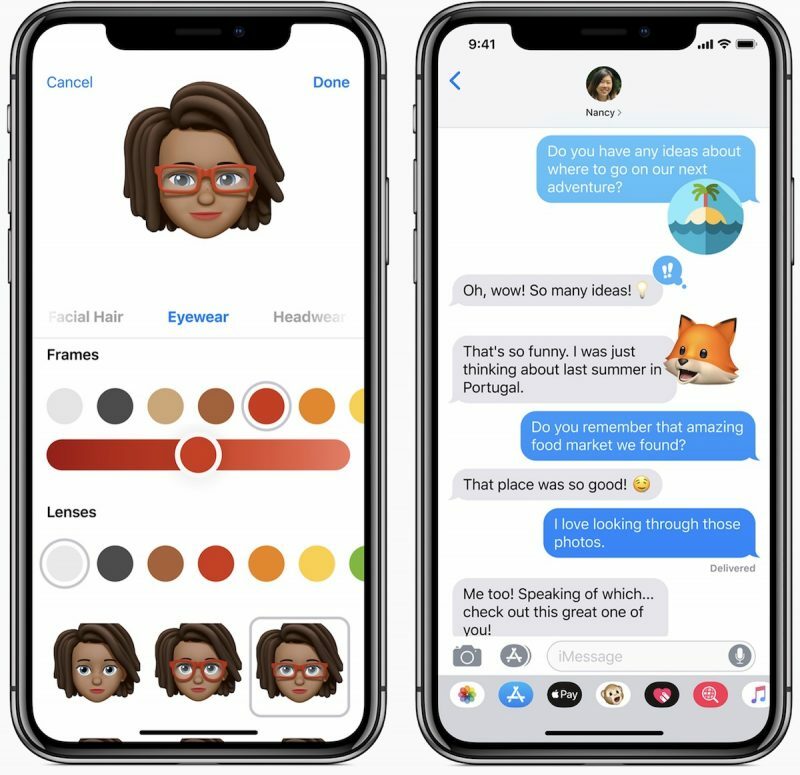 Getting back to the AI-powered features, they include AI Shopping Assistant (tap on images of products to get quick shopping links); Enhanced Communication (AI-assisted noise cancellation during phone calls); and AI Smart Gallery (automatically sort photos into albums). We’ll have to see whether these features actual add value or are just gimmicks designed for the sweet marketing potential of the “AI” buzzword. More AI features can be found in the camera app. 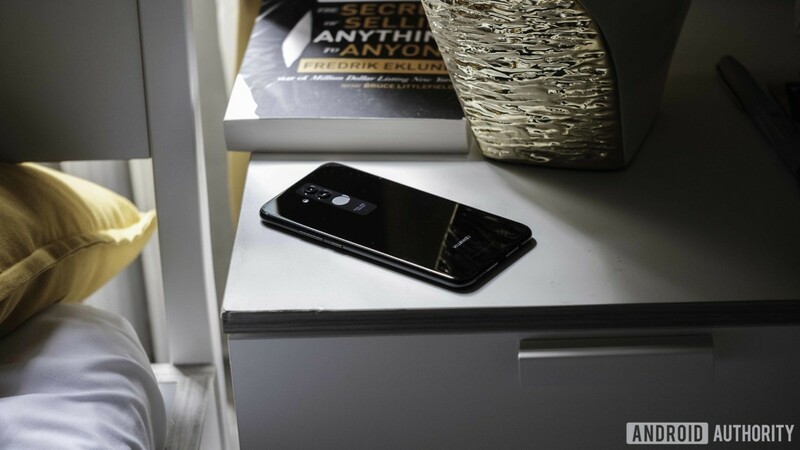 Both the front and the rear cameras feature AI-powered scene recognition that should select the best settings from hundreds of categories. AI Assisted Composition guides users to get the best angles in each scene, and the bokeh effect is also generated using AI. 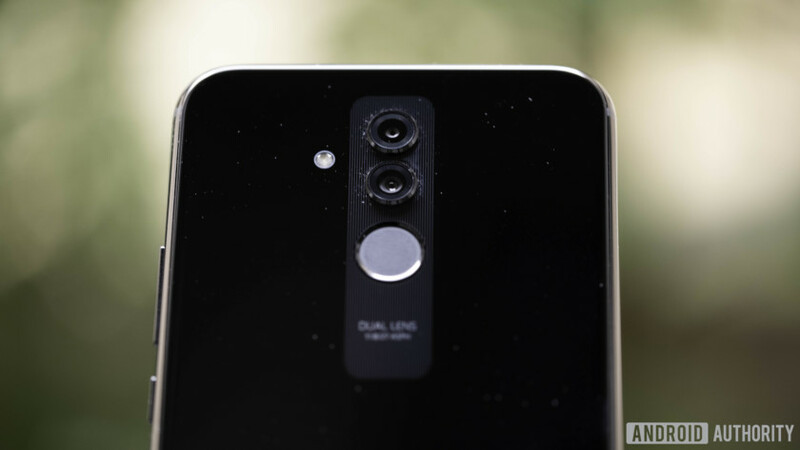 The Mate 20 Lite features four cameras in total. On the back, you get a 20MP main sensor, with a 2MP sensor for depth sensing. Features include intelligent scene detection, smart composition, and 480 fps slow motion video capture. On the front, the main sensor is 24MP, coupled with a 2MP sensor for depth sensing. The selfie cams support real-time HDR Pro, Studio Lighting, and 3D animated emoji. The Huawei Mate 20 Lite will go on sale in the UK for 380 pounds (~$500), starting in October. 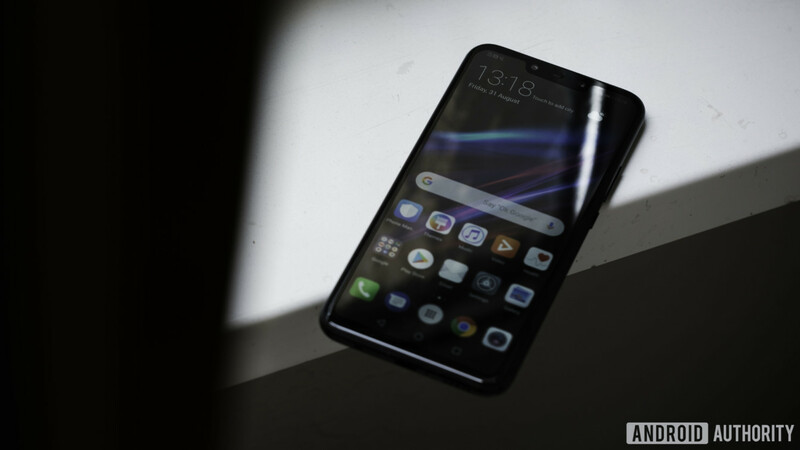 That’s not exactly cheap, in comparison to devices like the Pocophone F1 or the Honor Play, but Huawei clearly hopes that its brand cachet and AI features will help the Mate 20 Lite stand out in the market. 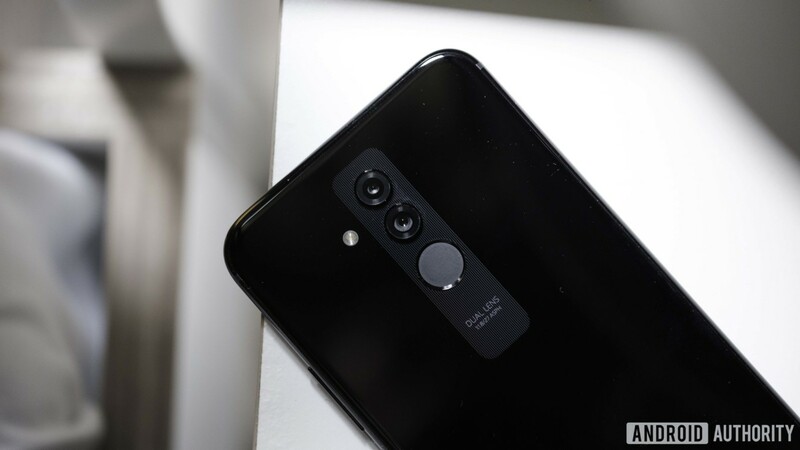 Cameras 20MP+2MP dual rear cameras (f/1.8), with PDAF, AI-Enhanced Bokeh, Super Slo-Mo, Smart Composition, Intelligent Shooting. What are your thoughts on the Huawei Mate 20 Lite? Let us know in the comments! The brand new Samsung Galaxy Watch could be considered the Swiss Army knife of smartwatches. It tries to do a little bit of everything, from sleep tracking, to fitness tracking, to mobile payments, to all the other typical smartwatch functions. It even looks good doing it. But does Samsung nail the execution? Find out in our full review of the Samsung Galaxy Watch. Samsung has come a long way with its smartwatch design since the original Galaxy Gear. The Galaxy Watch elegantly disguises itself as a normal watch. It comes in 46mm and 42mm watch face variants. The one I’ve been testing and using for the past week is the 46mm version in silver, with Bluetooth connectivity. The smaller 42mm version is available in black and rose gold. Some might consider the 46mm option too large, but it felt perfect despite my small wrists. It has some heft to it and the profile is quite chunky, but that didn’t bother me. The 42mm will be a much better choice if you want a lighter watch that takes up less space on your wrist. The metal design is sturdy and the silver finish looks very classy. Its neutral coloring helps the Galaxy Watch match a variety of different outfits. It even looks good enough for formal attire. Samsung’s signature rotating bezel is coated in a matte-black finish that contrasts very well with the silver. The rotating bezel is intuitive as ever and such a joy to use. The rotating bezel is intuitive as ever and a joy to use. It makes for fast and easy navigation through your notifications and widgets, and the mechanical clicks you feel when you rotate the bezel are extremely satisfying. On the right side, two buttons protrude slightly, and their textured rubber finish makes them easy to find by feel. The top button functions as a back button and the bottom one is a home button. 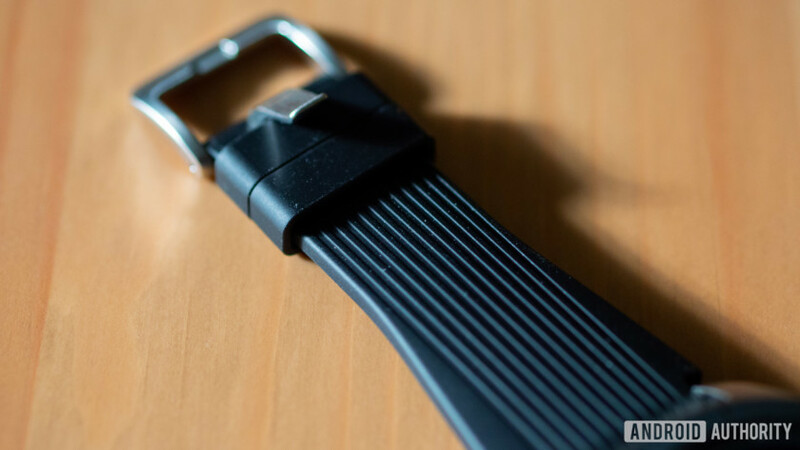 The default watch strap of the 46mm Galaxy Watch is made of black silicone. It’s durable, water-resistant, and comfortable, but may not be right for every outfit. Samsung sells additional watch straps of different colors and materials through its website, if you want to spice up the look of the watch. The bands are standard 22mm bands which makes them easy to swap. The silicone bands are the most functional, as you can take advantage of the Galaxy Watch’s IP68 water resistance. The watch is water-resistant up to 50 meters, meaning it will easily survive swims in the pool and wearing it in the shower. 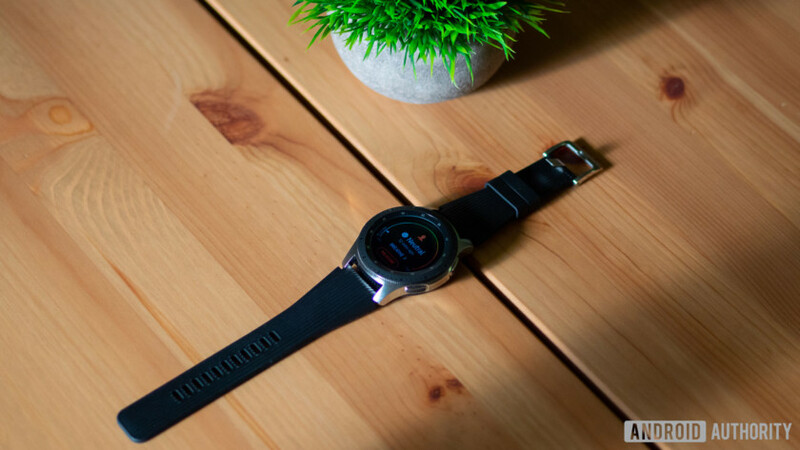 The Galaxy Watch is also MIL-STD-810G-certified for durability against drops, high temperatures, dust, and high altitude. You can take it pretty much anywhere and it will have a high chance of surviving. The 46mm version comes with a 1.3 inch AMOLED display and the 42mm model is slightly smaller at 1.2 inches. Both sizes have the same 360 x 360 resolution. On a display of this size, it’s more than enough for text and graphics to look sharp. The screen is also vibrant, colorful, and easy to see in direct sunlight. The inky deep blacks look great and provide for plenty of contrast. Having an AMOLED display on a smartwatch just makes sense as it allows the content to pop and the watch faces with black backgrounds to look much cleaner. 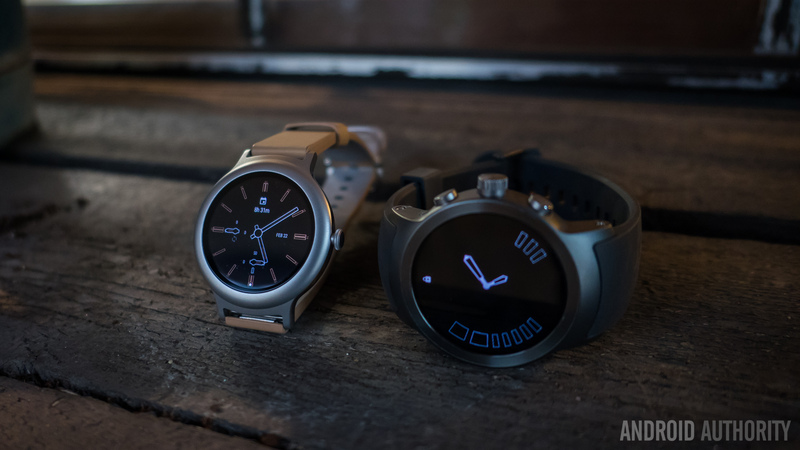 The watch is quick to respond to all of my taps and gestures and nothing ever felt slow to load. 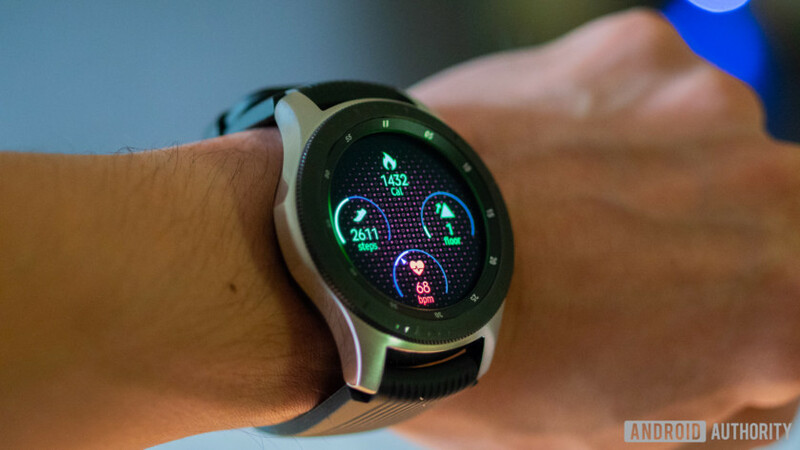 The Galaxy Watch uses Samsung’s Exynos 9110 dual-core processor clocked at 1.5GHz. The Bluetooth version has 768MB of RAM while the LTE model will double it at 1.5GB. Talking about performance on a smartwatch is quite strange and while I can’t speak for the LTE version, the Bluetooth model has been smooth. The watch is quick to respond to all of my taps and gestures and nothing ever felt slow to load. The 46mm variant comes with a 472mAh battery, while the smaller 42mm has a 270mAh cell. According to Samsung, the 46mm version of the Galaxy Watch lasts up to seven days. The most I’ve gotten from it is four days. Four days is quite good, but you’ll still have to charge it twice a week. Moving on with our Samsung Galaxy Watch review, the device comes with a very impressive set of hardware features. There’s a built-in altimeter and barometer for gauging atmospheric pressure and altitude. Not everyone will find this useful, but it can come in handy if you enjoy activities like mountain hiking. 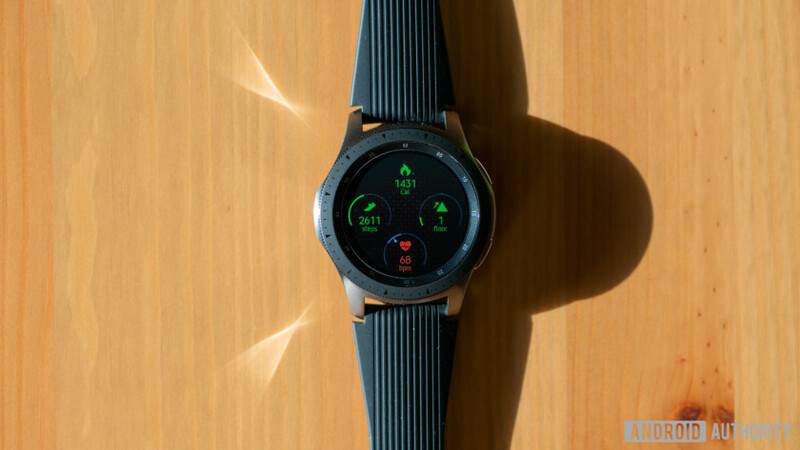 On the underside of the watch is the heart rate sensor, which can also gauge your stress levels — a new feature on the Galaxy Watch. If the watch senses your stress levels are too high it will have you do a series of breathing exercises. There’s an integrated speaker and microphone for sending and receiving phone calls, text messages, and voice dictation. The Galaxy Watch comes with 4GB of internal storage, but only half that space is usable. It’s not much, but it’s enough for locally storing a couple songs or photos and downloading additional apps. If you’re a fan of Samsung Pay, the Galaxy Watch supports it. Sadly, the Galaxy Watch will only work at NFC terminals, as it doesn’t support magnetic secure transmission (MST). MST was available on the Gear S3 and allowed it to work at virtually any terminal. It’s very unfortunate the Galaxy Watch doesn’t have it. MST was available on the Gear S3 and allowed it to work at virtually any terminal. It’s very unfortunate the Galaxy Watch doesn’t have it. 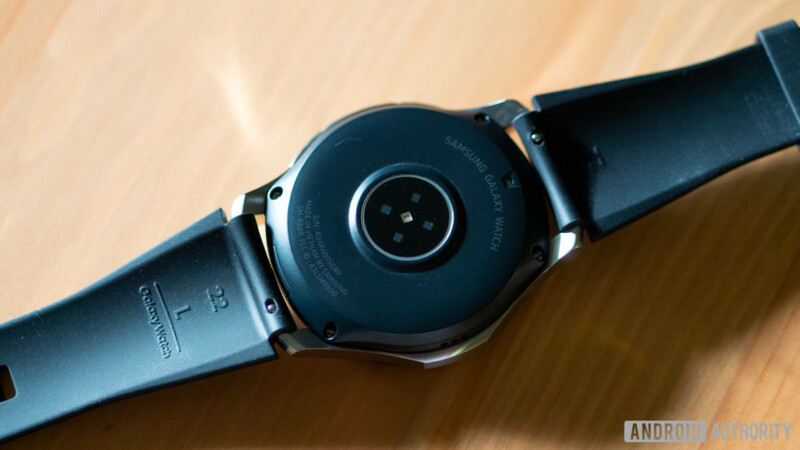 The software and its plethora of features is really what makes the Galaxy Watch such a powerful smartwatch. 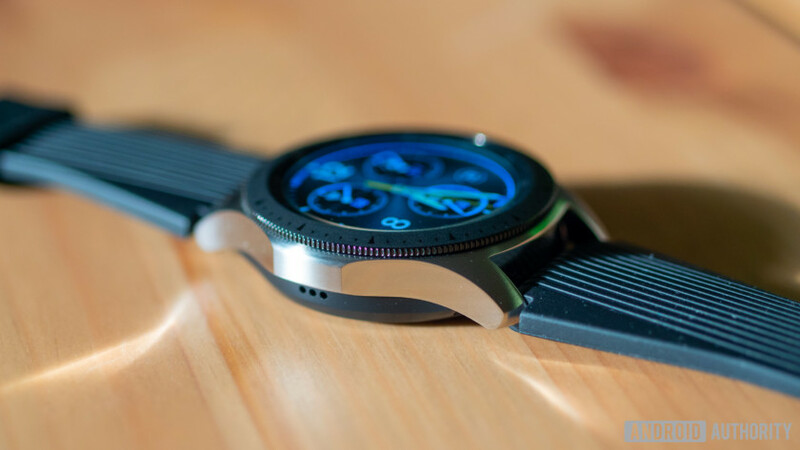 The Galaxy Watch runs on Tizen 4.0, which is intuitive and well optimized for Samsung’s rotating bezel. 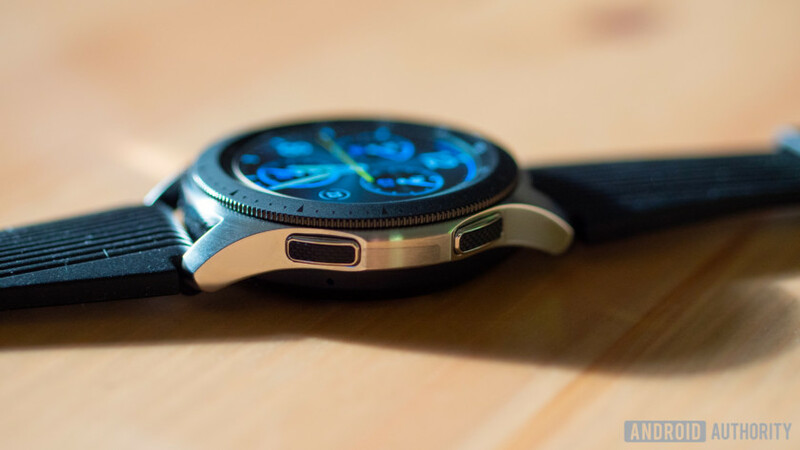 It isn’t much different from previous versions of Tizen and will be a familiar experience if you’re coming from a Gear S3 or Gear Sport. 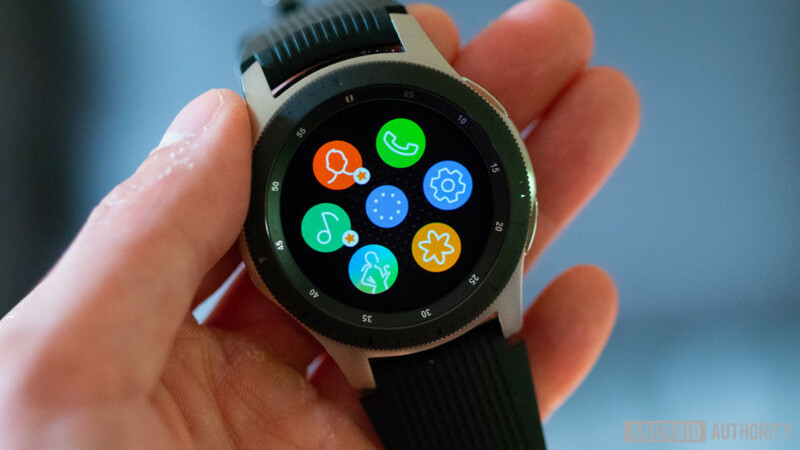 Apps can be downloaded through the Galaxy Apps store and there are plenty of additional watch faces for added customization. As a fitness tracker, the Galaxy Watch is excellent. As a fitness tracker, the Galaxy Watch is excellent. It’s capable of tracking a total of 39 different workouts including weight training, cardio, and circuit training. Certain exercises are tracked automatically such as walking, running, or cycling simply by starting the workout. Weight training is my preferred method of exercise when I go to the gym and I found the weight training workouts to be extremely useful. The watch can’t track every type of weightlifting exercise, but it easily picks up common ones like bench presses, shoulder presses, deadlifts, and arm curls. The watch can keep track of how many sets and reps you want to do per set. It will also count the reps for you so you don’t have to. New to the Galaxy Watch is the integration of Samsung’s AI assistant, Bixby. This is a first for Samsung, replacing S Voice. However if you didn’t like Bixby before, you’ll like it even less here. Bixby is the Galaxy Watch’s biggest weakness. Most of the time it did not understand my questions or threw out errors. I even asked some of the recommended questions Bixby suggests and it still wouldn’t answer them. Hopefully, it’s a feature Samsung can improve. For now, it’s better left ignored. The Bluetooth-only version of the Galaxy Watch starts at $329.99 for the 42mm and $349.99 for the 46mm. Pricing for the LTE models are slightly higher, but they will vary from carrier to carrier. It’s a price competitive with the Apple Watch — likely Samsung’s biggest competition. 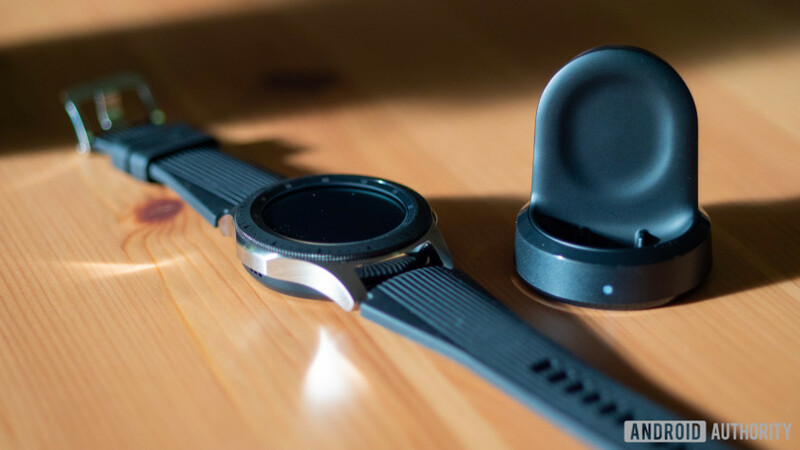 The Samsung Galaxy Watch is compatible with Android and iOS, but you lose out on some of the Bixby health integration when using a non-Samsung device. The Galaxy Watch is very well executed. Bixby issues aside, it nails the balance between being a smartwatch and being a health and fitness tracker. There you have it — our Samsung Galaxy Watch review. 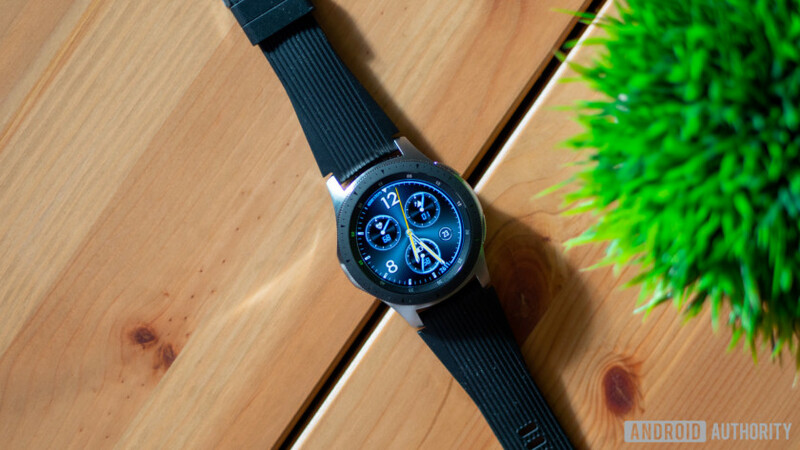 If you’re in the market for a new smartwatch, the Galaxy Watch is definitely worth considering. One of the benefits of living in the digital age is that there is an app for literally everything. When it comes to managing money, it’s important to understand that global currencies are an integral part of managing your finances. If you are a foreign national living and working in Australia, you’ll need to download and use Australian money management apps while abroad. You can always file your tax return online but for such things as making budgets and keeping track of investments, you’ll probably want to use an app on your smart device. With that said, here are the top five Australian money management apps of 2018. What would a money management programme be without a budgeting app? Pocketbook is a handy little budgeting app available for both Android and iOS mobile devices. Here you can create your budget by tracking your expenses and then set limits on spending. If you have trouble sticking to a budget, Pocketbook will help you by tracking what you’ve spent to date and giving you a warning when you’ve exceeded your limits. Every bank now has a downloadable app – or at least they should if they keep up with the times! These can help you avoid overdraft charges by keeping a running balance of your accounts and you can usually even pay bills while mobile with most bank apps. While most banks will offer their apps for Android and iOS, there may be some banks that offer a Windows Phone version as well. Sometimes it’s difficult to keep your savings goals in mind without visual reminders of where you want to be at some future date. TrackMyGoals is a Money Smart app from the developers of TrackMySpend, but this particular app helps you to set goals and then manage your savings so that you don’t lose sight of those goals. TrackMyGoals, like TrackMySpend, is available for Android and iOS devices. Even if you are a foreign national working in Australia, the one thing you will need to do is pay income tax. This particular app lets you calculate any deductions and come up with calculations based on figures in real time. Available for Windows Phone, Android and iOS, this app was designed to be a true cross platform tool for individuals and small businesses. It is free to download this investment app for Android or iOS devices but there will be a monthly fee of $1.25 on any balances below $5,000. This figure may change over time, but at the time, that is the fee the developers are charging. How Acorns works is to round any amount you spend when using your bank card up to the nearest dollar and then it invests that amount into a diversified managed investment portfolio. This is one handy way for those who have trouble saving money to invest. Acorns is designed to teach you how to save so that you have money to invest – it is NOT a get rich quick investment scheme. So, there you have the top five money management apps for Australians. If you have trouble budgeting and managing your money, these are the apps you need to take charge of your financial affairs. When talking about the new Kirin 980 processor, Huawei mentions a lot of world firsts, a lot of percentages, and a lot of very big numbers. We’re going to get to those, but they all boil down to one thing: This is a fast, ultra-high-performance mobile processor, and likely one of the most advanced we’ve ever seen. It’s not just the promised raw speed, but the new artificial intelligence features that entice here. What’s more, it won’t be long until we see it in a phone. Let’s do the world firsts. 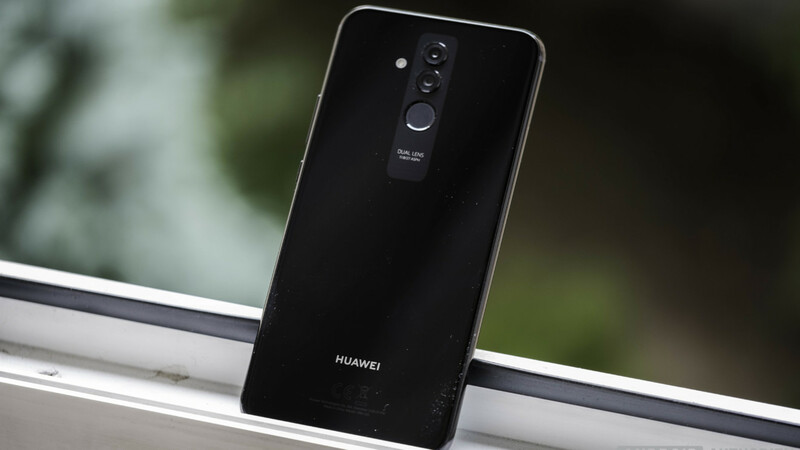 The Huawei Kirin 980 is the world’s first 7nm mobile system-on-a-chip (SoC), with the first Dual Neural Processing Unit (NPU), the first Cortex A76 cores, the first Mali G76 graphics processing unit (GPU), the first example of a 1.4Gbps Cat.21 modem, and the first to use LPDDRX4 RAM running at 2133Mhz. What does all this mean? Huawei repeated it over and over again: More performance, and better efficiency. The Kirin 980 is the result of 36 months work from a team of more than 1,000 design and process experts, and it contains a dizzying 6.9 billion transistors. Compared to the 10nm Kirin 970 seen in everything from the P20 Pro to the Honor Play, the Kirin 980 has a 20 percent speed improvement, and a 40 percent reduction in energy draw. The Cortex A76 cores alone provide 75 percent higher performance than the Kirin 970’s cores. It is made up of eight cores in total, the two big Cortex A76 cores, along with two middle cores, and four little cores. These split tasks up according to needs. For example, the little cores deal with music and video streaming, while social and messaging apps bring in the middle cores for assistance, and playing games sees all eight cores working hard. Huawei has added a degree of artificial intelligence to this process, which if calls A.I. Loading Prediction. The system understands where and when power is needed, and adjusts the output accordingly ahead of time, ready to provide the best experience, particularly when playing games. The Kirin 970 introduced the world to the NPU, which takes care of A.I. processing on the device, rather than messing around in the cloud. It’s faster, and more efficient, in case you hadn’t guessed. The Kirin 980 has two NPUs, and can recognize 4,500 images per minute, compared to the 2,371 recognized each minute by the Qualcomm Snapdragon 845. Huawei claims the overall performance is 135 percent faster than the Snapdragon 845, and 88 percent more efficient. The Dual NPUs also add real-time image processing to video, rather than solely on stills with the single NPU, and can recognize the particulars of an image too. A new dual Image Signal Processor (ISP) for the camera is also part of the Kirin 980. In some demonstration images, we saw more detail, better white balance, and an overall sharper image than one taken without the Kirin 980 chip. Again, expect a 46 percent performance increase and 33 percent reduction in latency. Repeat the mantra: More performance, better efficiency. This even applies to a new Wi-Fi chip for higher peak speeds, and a new dual-frequency GPS chip for 10 times greater positioning accuracy. Numbers, especially when related to processors, are rarely exciting. But the prospect of such a big boost over the already impressive Kirin 970 makes us really keen to try one out. We need to see if all these comparisons and percentages translate into real life gains. The great news is, we don’t have long to wait. Huawei will use the Kirin 980 in the forthcoming Mate 20 smartphone, which it will launch in October. Once more, for Huawei, repeat after me: More performance, better efficiency, more performance, better efficiency. Moto Z3 Play vs. Honor View 10: Which midrange phone should be in your pocket? No, we haven’t published the wrong pictures, this really is the Huawei AI Cube, which as you can see isn’t a cube at all. It’s a puzzling naming decision. When we asked Huawei about it, the company chose to leave it as one of those great unanswered questions. Maybe the sequel will be called the AI Cylinder, and be shaped like a cube, or maybe we’re just looking at it wrong? Apart from calling it a cube, the name gives away what this product is all about. 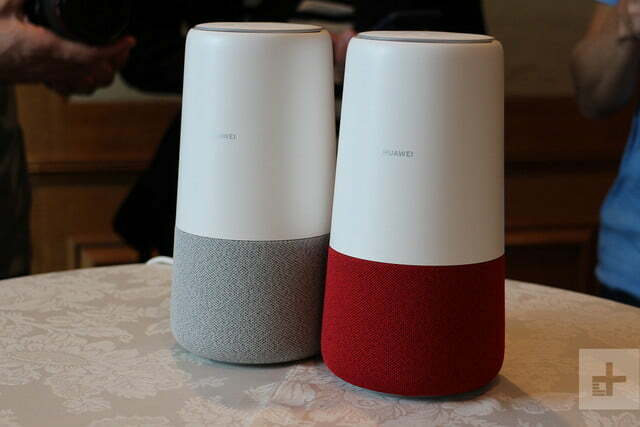 It’s Huawei’s smart speaker, incorporating an AI assistant, a speaker system, and unusually a 4G LTE connection too. 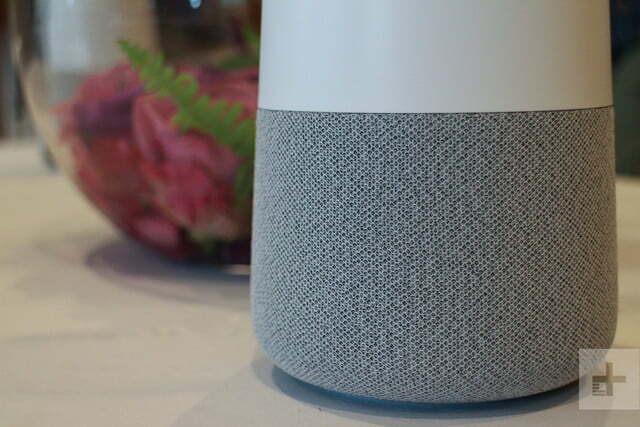 You’re expecting us to say it uses Google Assistant for the smart capabilities aren’t you? It doesn’t. Amazon’s Alexa has been called up for duty aboard the AI Cube. This allows you to control your smart home devices, take advantage of Alexa’s many Skills, and ask it general questions throughout the day. Huawei indicated it added its own artificial intelligence expertise in some form to Alexa. Why not Google Assistant? 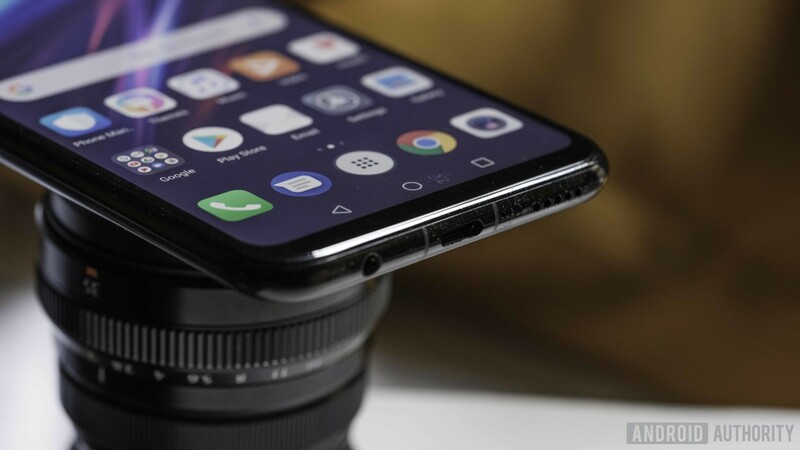 Huawei was cagey about its reasons, but it’s not the first time Amazon and Huawei have collaborated, having previously added Alexa in the form of an app to the Huawei Mate 10 Pro smartphone. 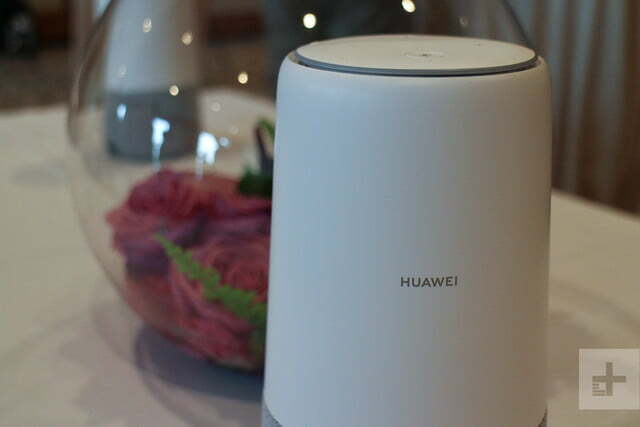 Huawei indicated it added its own artificial intelligence expertise in some form to Alexa on the AI Cube too, although in what capacity isn’t clear. 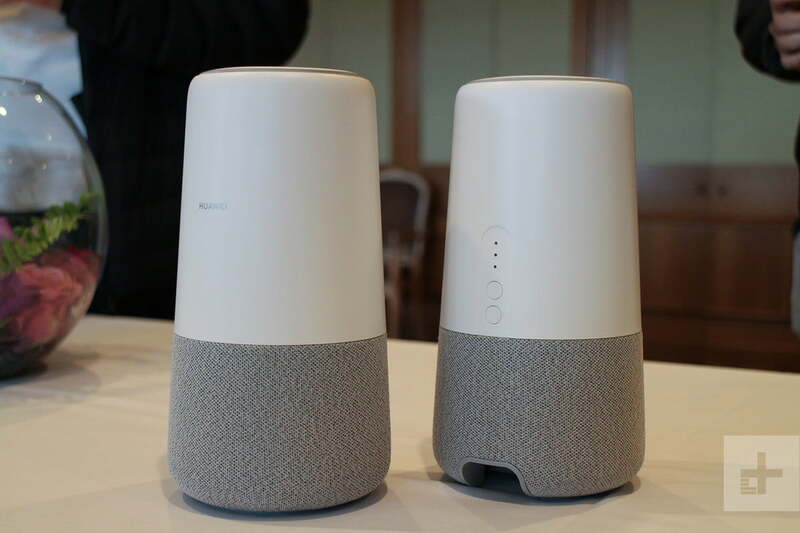 About twice the size of a Google Home, the AI Cube stands tall on a table, and comes with either grey or red cloth covering the speaker array at the base of the unit. A 15-watt mono driver with an aluminum diaphragm is matched with passive radiators to generate the sound, but we only heard Alexa speak during our brief time with the speaker, so we cannot comment on its ability as a music player. 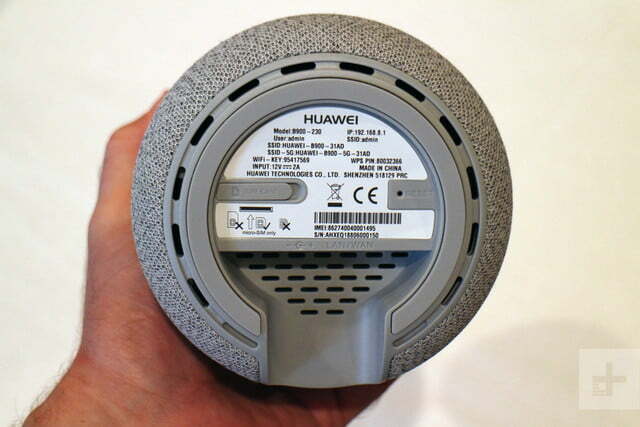 Huawei’s own Histen audio technology — usually seen on Huawei and Honor phones — is included, along with four microphones and far-field voice recognition technology so you can speak to Alexa from across the room. If the name has confused you, prepare to furrow your brow further, because the AI Cube has 4G LTE enabled with a SIM card. This doesn’t really make it portable though, as we were told it doesn’t have a battery. 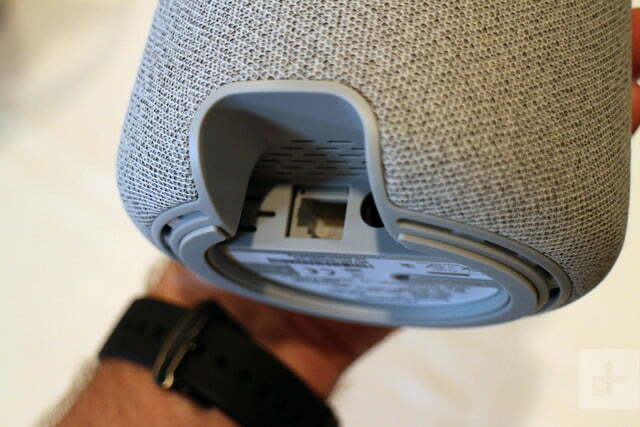 We understand the need for portable Bluetooth speakers, but not the need for portable smart speakers, especially when they still need to be plugged into a wall socket. It supports Cat.6 LTE at speeds up to 300Mbps though, and has 802.11AC dual-band Wi-Fi, along with an an Ethernet port under the speaker. On the top you’ll find volume keys and a mute button, and the surrounding around the controls glows when the speaker is active. 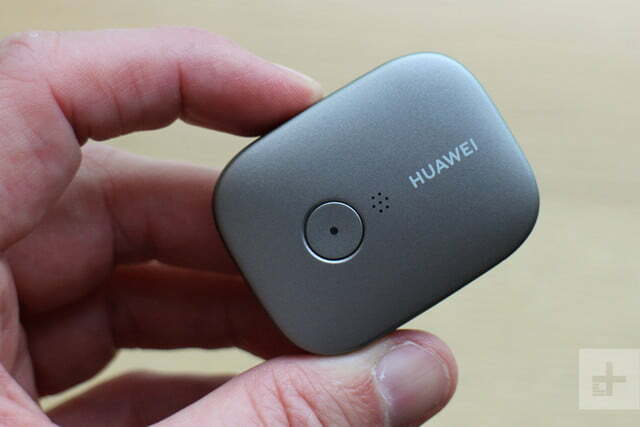 The AI Cube is joined at IFA 2018 with the Huawei Locator, a location tracker with a battery that provides 60 days of standby and 15 days of actual tracking, which is done using various GPS systems, Assisted GPS, and global roaming. It’s designed so you can keep watch over misbehaving children, errant senior citizens, annoying pets, and easily lost baggage. The unit is matchbox-small, has an IP68 rating for water resistance, and a built-in SOS button. 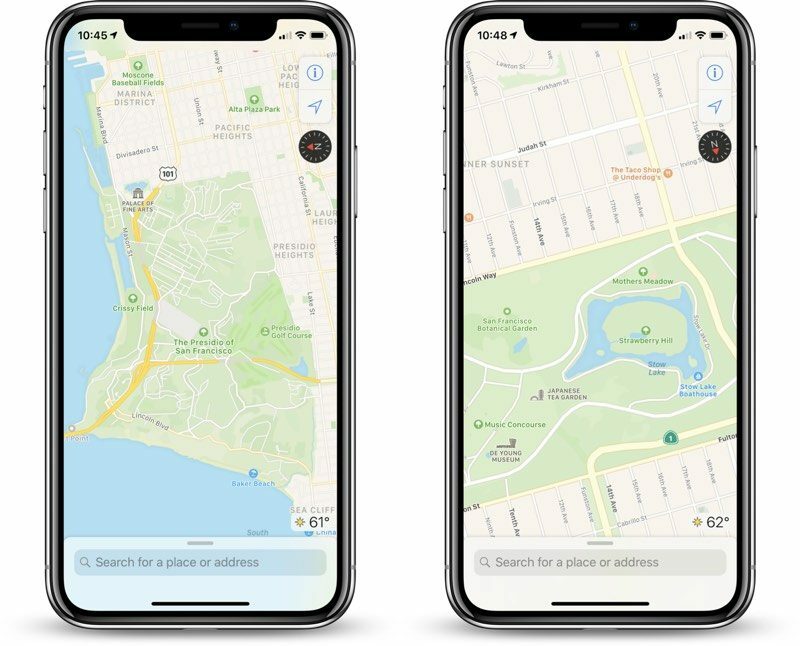 In addition to the GPS, which is accurate down to 5 meters, Bluetooth Low Energy takes over within a 10 meter range, and geo-fences can be setup for alerts. Taken with the idea of either the AI Cube or Huawei Locator? The AI Cube will be out in Europe around Christmas time, and the price will be announced when it’s ready for sale. There was no comment on a U.S. release, and the AI Cube won’t be released in China either. 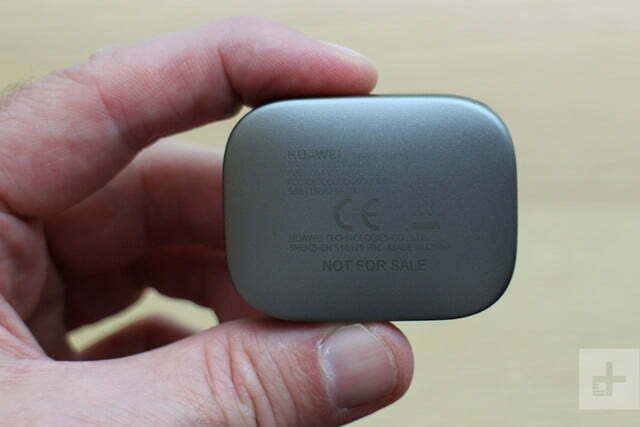 The Huawei Locator also doesn’t have a price yet, but may be subject to a contract or ongoing fees when it is released in Europe.